The list of consequences from having a bad credit score is long and depressing. 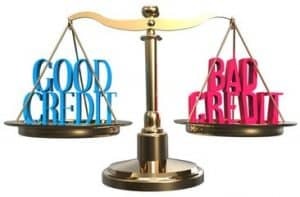 If you are trying to rent an apartment, buy a house, apply for a loan, get a job or refinance a loan, then your credit score will almost certainly come into play. If your credit score is too low, you may be denied from doing any of those things. In addition, you could pay a much higher interest rate based on having bad credit. It might be the case that your credit score is lower than you expected as a result of an inaccuracy on your credit report. For example, a single debt that has been handed over to a collections agency could end up being mistakenly reported multiple times if it was assigned to another agency. In this case, you would receive multiple blows to your credit score for a single transaction. If you do not act to correct this discrepancy, then you could be plagued by a reporting error for years to come. Credit report mistakes are not typically corrected automatically. The only way to know whether a mistake exists is to order a copy of your credit report so that you can see what shows up. This is available to you for free by filing a request with any of the major credit reporting agencies. You are entitled to request one free credit report each year. When you read through the report, you may also want to check for any incorrect account details for entries that look suspicious. It could be a simple case of identity mistake. The real work begins after you have spotted an error on your credit report. You will need to notify the credit agency by letter of the mistake and provide all of the relevant details for your claim. You should expect to receive a response within 30 days of submitting a dispute letter. This does not necessarily mean that your score will automatically improve within that timeline, but it does mean that the process will be started. You may be one of the millions of Americans who are in a tough spot with a low credit score because of too much personal debt. It may take some serious time and effort to get your credit score back up to where you would like it to be, but the results are definitely worthwhile. One option that many consumers pursue is taking out a loan to cover all of their outstanding debt. This can give you some breathing room as well as a chance to get on a monthly payment plan that prevents you from incurring additional late fees and penalties for previously missed payments. You may find that you are able to chart this course on your own by applying for a personal loan and consolidating all of your debt that way. However, there are options available if this seems too intimidating for you. A debt relief service will be able to guide you through the process of consolidating your debt and possibly negotiating with creditors to lower the total amount that you owe. 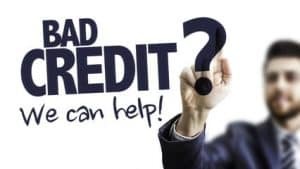 You should be immediately suspect of any credit repair service that charges you a fee without having actually done anything on your behalf. Check and make sure that the Federal Trade Commission has listed the agency as a reputable company to work with before committing to paying them any sort of fee for taking on your case. Emma has been helping people improve their credit scores for the past ten years. Prior to that, she worked as a credit repair specialist and consultant for several large credit repair firms. She got into the credit repair industry after graduating with a degree in Finance before getting her MBA.